The main objective of this book is to explore the concept of cybersecurity in parallel and distributed computing along with recent research developments in the field. 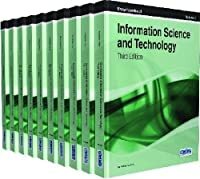 It also includes various real-time/offline applications and case studies in the fields of engineering and computer science and the modern tools and technologies used. Information on cybersecurity technologies is organized in the fifteen chapters of this book. Security issues and challenges in distributed computing security such as heterogeneous computing, cloud computing, fog computing, etc. Security issues in the healthcare sector with existing solutions and emerging threats.